When you think to dress in casual, denim is the first thing that you need. 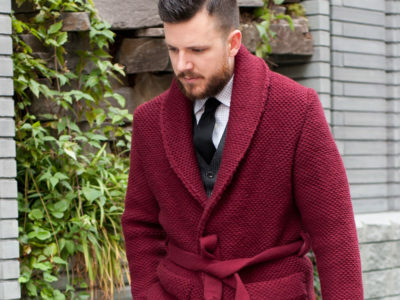 But Jeans are not the only way to style a casual look anymore. 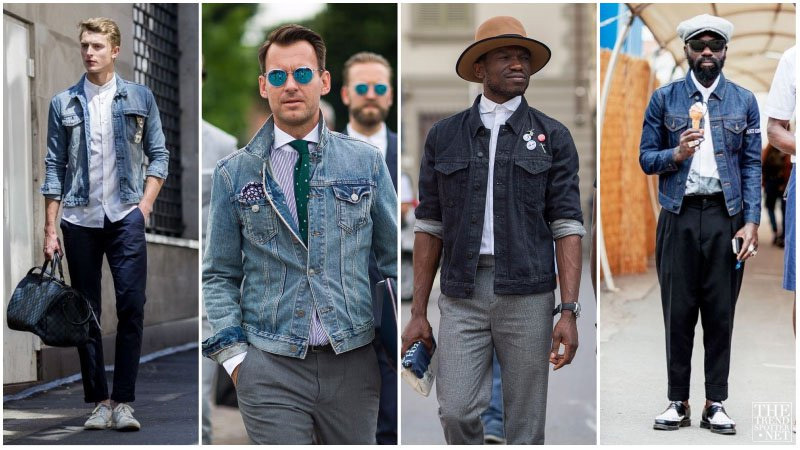 We talk about a denim jacket, it’s an excellent option for your casual style. This piece is perfect is perfect for adding a simple yet stylish finishing touch to an array of looks. 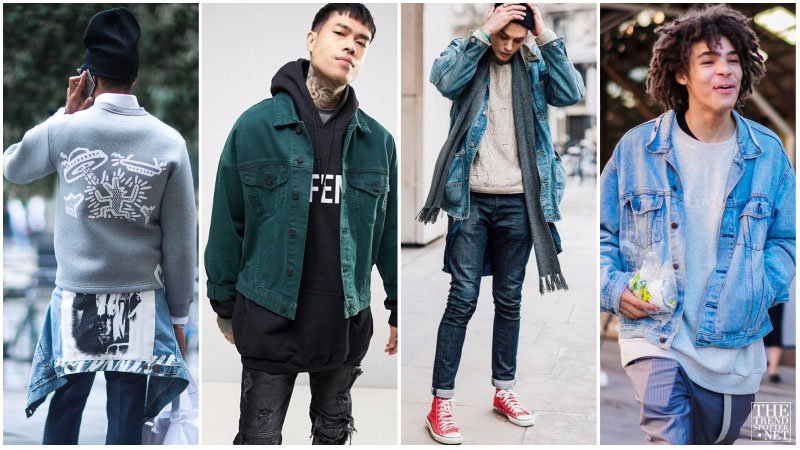 To find out how to style a denim jacket in the right way, follow this list, and read wht to wear with a denim jacket to complete your casual look. 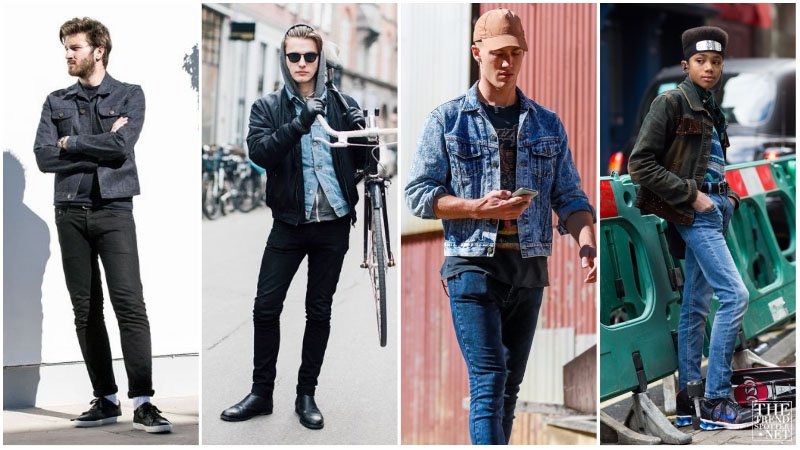 When you’re rocking a denim jacket, don’t be afraid to wear jeans. The combination is surprisingly stylish and perfect for casual outings. For the most flattering take on this look, try partnering a blue denim jacket with a pair of slim black jeans. Denim jackets can look good with a casual pants. For a simple yet smart look, consider partnering your jean jacket with a pair of chinos. The combination is an excellent alternative to double denim outfits and can suit almost any style. Rocking a t-shirt with a denim jacket is a no-brainer. The relaxed combination always looks great together and can be paired with a variety of pants and shoe styles. While plain tees look stylishly minimal with denim jackets, striped and printed designs add more interest to outfits. To make your denim jacket seem sleek and smart, you should try pairing it with a shirt. 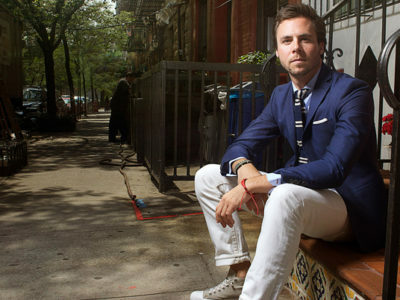 The look is a good alternative to the usual shirt and blazer combination and appears both chic and cool. 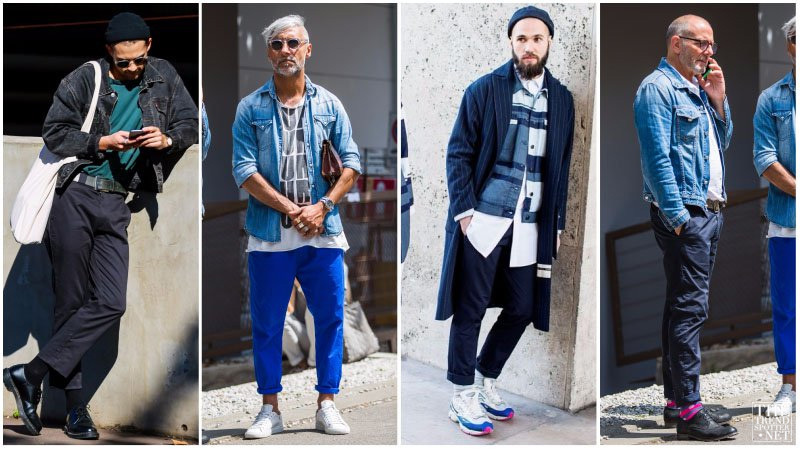 Just add a pair of trousers and brogues or chinos and sneakers to complete the outfit in style. 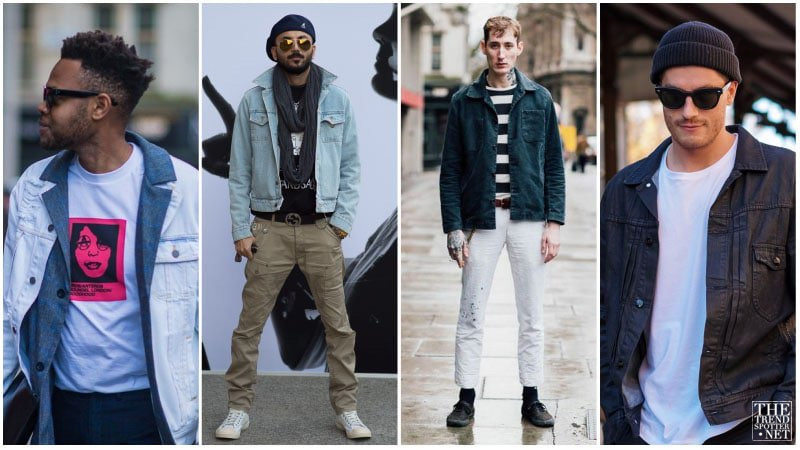 A denim jacket is ideal for layering and can even be worn with a jumper. To nail the look, just add a simple sweatshirt or hoodie underneath your denim jacket. Not only will this combination keep you feeling warm during winter, but it’ll also ensure that you project a stylish urban appearance. Every pieces can match with denim jacket. You can dress up your casual style easily by wearing a denim jacket. 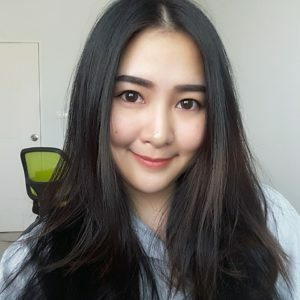 You guys will look cool on this look sure!